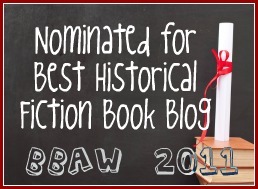 Historical Tapestry: Huge Giveaway Announcement! We are very excited here at Historical Tapestry to bring you a huge giveaway! We have 10 copies of the soon to be released novel, Lady Vernon and her Daughter, A novel of Jane Austen's Lady Susan by Jane Rubino and Caitlin Rubino-Bradway. The book will be released on 6 October. Jane Austen’s novella Lady Susan was written during the same period as another novella called Elinor and Marianne–which was later revised and expanded to become Sense and Sensibility. Unfortunately for readers, Lady Susan did not enjoy the same treatment by its author and was left abandoned and forgotten by all but the most diligent Austen scholars. Until now. In Lady Vernon and Her Daughter, mother and daughter writing team, Jane Rubino and Caitlen Rubino-Bradway have taken Austen’s original novella and transformed it into a vivid and richly developed novel of love lost and found–and the complex relationships between women, men, and money in Regency England. Lady Vernon and her daughter, Frederica, are left penniless and without a home after the death of Sir Frederick Vernon, Susan’s husband. Frederick’s brother and heir, Charles Vernon, like so many others of his time, has forgotten his promises to look after the women, and despite their fervent hopes to the contrary, does nothing to financially support Lady Vernon and Frederica. When the ladies, left without another option, bravely arrive at Charles’s home to confront him about his treatment of his family, they are faced with Charles’s indifference, his wife Catherine’s distrustful animosity, and a flood of rumors that threaten to undo them all. Will Lady Vernon and Frederica find love and happiness–and financial security–or will their hopes be dashed with their lost fortune? With wit and warmth reminiscent of Austen’s greatest works, Lady Vernon and Her Daughter brings to vivid life a time and place where a woman’s security is at the mercy of an entail, where love is hindered by misunderstanding, where marriage can never be entirely isolated from money, yet where romance somehow carries the day. As the books will be coming directly from the publisher, this giveaway is restricted to US addresses only. Sorry to our international readers. To win, leave a comment on this post. Please ensure that you either have an email address in your profile or leave your email address so that we can contact the lucky winners. This contest will close on 13 October 2009. I would love to be entered into your contest! Thank You. I, too, am very interested in reading this book. Please count me in for the giveaway. Thanks! Please count me in. Thanks so much for the giveaway. I would love to be entered to win! Enter me please! I like the trailer. Count me in too. Awesome! Me Me Me Me Please !! Yes please! I would love to read this!! Thanks for this fabulous giveaway! COunt me in! Oh my, such a fabulous giveaway, please enter me. Thank you for this chance. Winning a copy of this wonderful book would be the best present I could give myself as I have been patiently waiting on it's release. I love all the Austen sequels coming out and would love to include this one in my collection! (As well as reading/reviewing it on Wendi's Book Corner). Sounds like an interesting storyline, and I'm curious to see what does happen to Lady Vernon and Frederica (love that name by the way - also a classic Heyer book!). Thanks for the wonderful giveaway and good luck to everyone! Ooh, ooh, pick me pick me! This sounds awesome and I am a Jane Austen fanatic! I would love to read this book. count me in. I'd love to be entered. The book sounds great. What a great giveaway. Would love a chance to read this book. sounds fabulous! Please throw my name in the hat! I've read several wonderful reviews of this book, and am anxious to read it. Please enter me in this giveaway, and thanks for hosting it! I love anything related to Jane Austen! Please enter me too! I'd love to win. Thanks for the giveaway. I hadn't heard of this story before. Please include me in the drawing. This book sounds really good. Please enter me. Thanks! I am always looking for a great book!! I can not go to sleep withouy reading each night.Thanks for the chance to read a great book! Oh, I would love to read this book! The video trailer was quite amusing! I'd love to be entered please.